The Spring sports season begins on Monday March 18th. All students who plan to participate must attend the pre-season athletic meeting on Thursday February 7th at 1:51pm in the PAC. Winter coaches are aware of this meeting and will allow you to arrive at practice late. Students will meet with coach Rodgers for some general athletic information which will also include a special guest speaker. Following that portion, students will meet with their coaches. 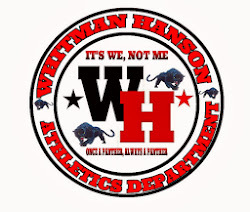 In order to play this spring your parent must fill out the online permission slip at www.whathletics.com . 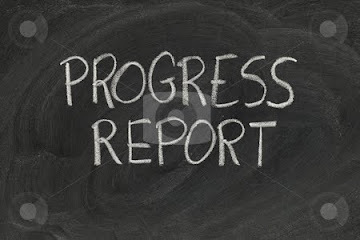 This must be completed by this Tuesday. Whitman-Hanson Wrestling hosted its last quad meet of the year Saturday and finished the season on a high note taking 2 of 3 matches. WH 63 Everett 6, WH 39 BPCC 38 and we lost a close match to Norwood 45-28. Coming up big for the Panthers today included the following: at 138 pounds Damari Goldsmith Greene 3-0 with one pin, Damari hit a milestone by winning his 51st match of his high school career. Also finishing 3-0 were Joel McInnis 145 pounds with 2 pins, Steve Brooks at 152 pounds with 3 pins as well. Winning 2 matches included 113 Myles McInnis, 120 pound Bethany Ralph with one pin, Jason Rapoza at 182 with 2 pins,Tyler Cullinan with 2 pins at 160. Others wrestlers contributing with one win each include 1106 pound Joe Boss, 132 pound Aiden O'Brien, 170 pound Pat Collette, 195 pound Christian Schneider, 220 pound Rocco Rufinni with a pin. The Panthers finished the season winning 4 of the last 7 matches to finish the season at 7-20 overall and 0-4 in the Patriot League Keenan Division. Next up is the D2 Sectional Tournament being held at WH on Saturday February 9th. 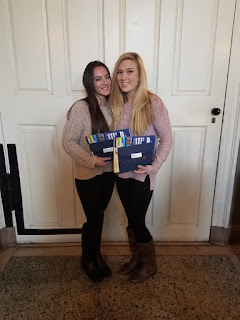 Erin McCoy and Joelle Pupollo were honored for WHAM gymnastics on senior night. The team went on to post their best score of the season with 122.3 . Joelle also joined fellow teammate Sarah Bomardier at the MIAA Women in Sports day in Boston on Friday. Assistant coach Alison Vance took the girls in to Faneuil Hall for this special program. The boys basketball team recorded two huge wins this week against top 20 teams beating both Scituate and O’Bryant. On Friday, Stevie Kelly tossed in 22 points and Ben Rice added 20 to lead the Panthers to a thrilling 67-63 overtime win in a rematch of the 2017 south sectional final. The Panthers (12-4) played outstanding defense led by Colby Ahern, Liam Keane, Cole Levangie and Rian Schwede. The boys are on the road Tuesday when they travel to Plymouth South. The girls basketball team had a thrilling win of their own on Tuesday. Sr Kathryn Dunn (14 points 8 rebounds) hit the game winning lay up as time expired and the Panthers defeated Scituate 51-49 on the road. Brittany Gacicia posted a double double with 16 points and 10 rebounds. Jr Hannah Damon scored 10 points. Sr Meg Henaghan had a strong game in the post. The girls are home on Tuesday when they host Plymouth South. Boys hockey picked up a huge win over Silver Lake 2-0 on Wednesday. Ed Scriven and Owen Manning both scored with help from Adam Solari (2 assists) and John Ward (1 assist). Bobby Siders posted the shutout. The Panthers gave one of the top teams in the league, Plymouth North all they could handle on Saturday before falling 2-1. Captain Ed Scriven had the lone goal while Siders was terrific in net once again. The Panthers are 8-7-1 and need just 3 points in their final 4 games to earn the tournament berth. 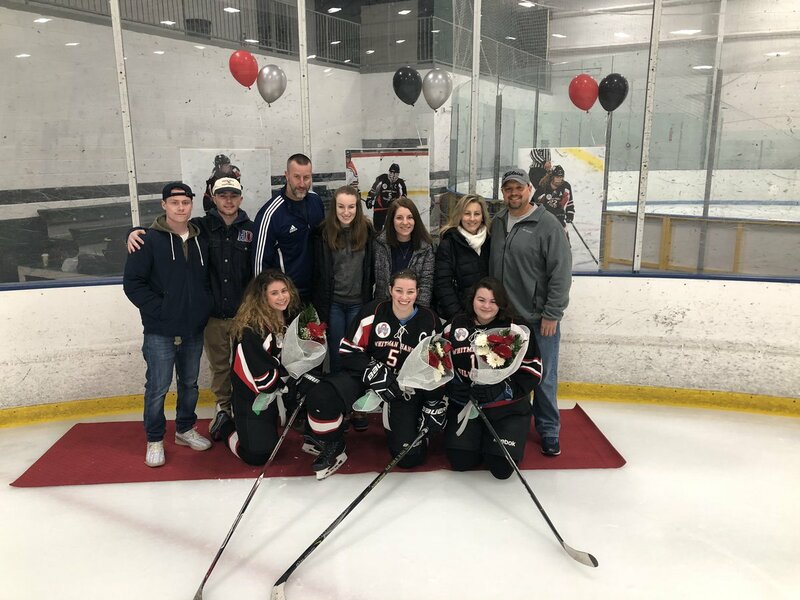 The girls hockey team honored their three seniors on Saturday (pictures and video are available on twitter @whathletics). 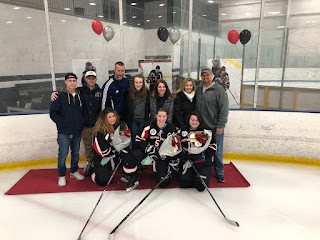 The girls played a phenomenal game against Quincy/North Quincy but suffered a heartbreaking loss when the guests scored with 6 seconds left to snap a 1-1 tie. Emily McDonald had the only tally for WHSL. Kat Gilbert was nothing short of sensational in net making several spectacular saves. WHSL recorded the tie with Scituate on Wednesday, 3-3 with Alyssa Murphy, Emily McDonald and Caity Hazley all scoring. 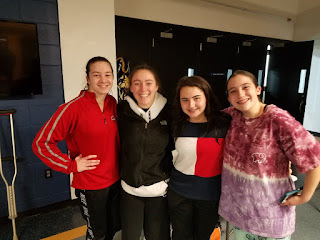 WHAM girls swimming finished second in the SSL league meet on Saturday at UMASS Dartmouth. We will have more details later on twitter (due to technical difficulties results are not available at this time) but we do know the 200 and 400 free relay team which includes Madison Navickey both qualified for the sectionals.